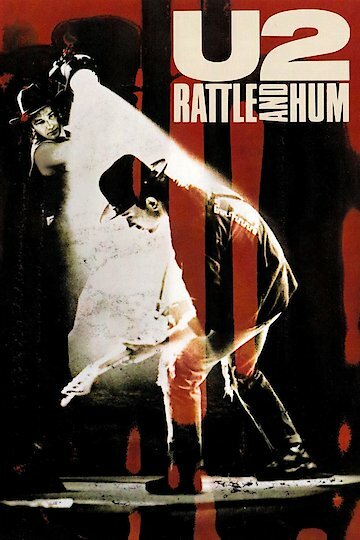 Rattle and Hum is a documentary of the rock band U2's 1987 tour of their breakthrough Joshua Tree album. The film captures the band at a time when their popularity was steadily increasing around the world. The majority of the live performance footage was filmed in Sun Devil Stadium in Tempe, Arizona. The band released the album and film as an homage to the American roots music that influenced so much of their songwriting and the sound they developed. The band puts their own spin on a couple of classic rock songs. The concert begins with The Beatles' Helter Skelter and the band later does a rendition of Bob Dylan's All Along the Watchtower that the band appears to have learned just prior to the performance in their tour bus. The film also features The Edge's pioneering effects laden guitar style. There are also glimpses of the very successful collaborative songwriting skills of Bono and The Edge. This period of time was a good one for the band to chronicle as it was essentially the beginning of their superstar status that has since expanded and continues to this very day.